Richard Pike writes about the winners, the losers, the players and the team of an unforgettable season in the Russian Premier League. “And now, the end is near and so I face the final curtain”, as Frank Sinatra’s My Way remarked, the end of an exciting and unpredictable season in the Russian Premier League has arrived. I have been covering it since Matchday 14 out of 30 and have enjoyed every minute. 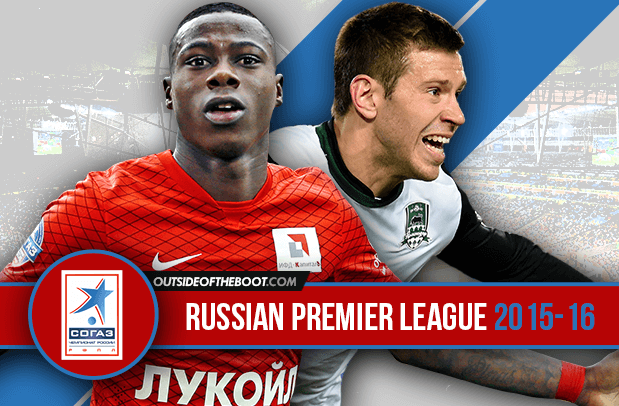 So, without further delay, here is the 2015-16 Russian Premier League review. Just when you thought that footballing fairy-tales were solely confined to England this season, think again. Rostov’s magnificent transformation from relegation escapologists last season to runners-up this season is a story that comfortably rivals that of their English counterparts Leicester City. 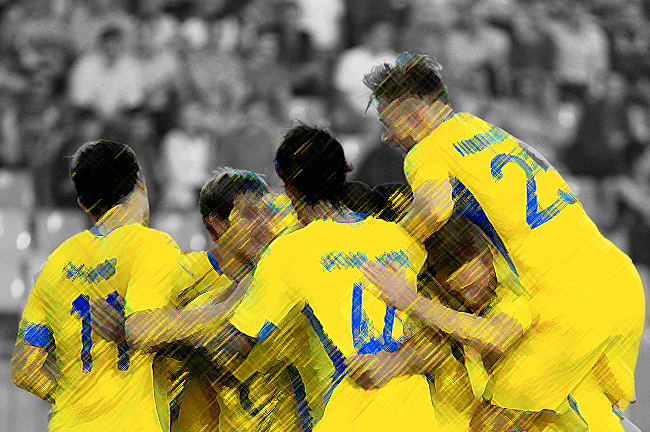 Disciplined at the back and deadly on the counter attack like the Foxes, Rostov have changed the landscape of Russian football and shook the Muscovite and Saint Petersburg axis that has dominated modern Russian football to its core. 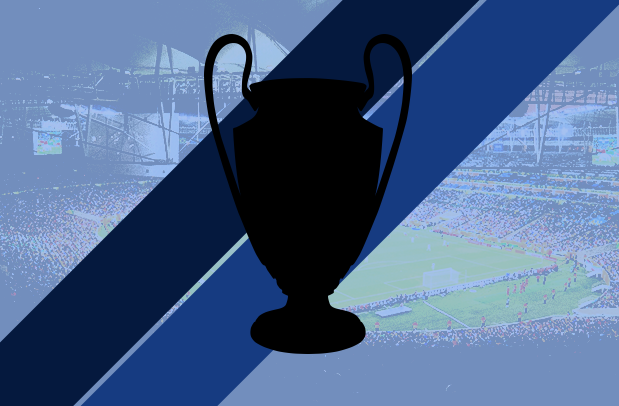 Seeing how they do in next seasons Champions League will provoke further debate and intrigue. Whilst the Chechen club could not quite maintain their form through to the last 4/5 match-days of the season to force a title challenge, they had a successful season which has exceeded expectations. The winter transfer window sales of left-back Fyodor Kudrashov and Brazilian central midfielder Mauricio to Rostov and Zenit respectively did not massively impact on their performances like many thought. Players like Russian central midfielder Oleg Ivanov and Polish winger Maciej Rybus established themselves amongst the best players in their positions in the league helping Terek to their highest ever league placing of 7th place. Whilst Financial Fair Play might have limited the ability of Dynamo Moscow to challenge for the Russian Premier League or a Champions League spot as I mentioned on a previous article, the club still possessed a squad and budget capable of finishing mid-table, however, their season has been a complete disaster. A tame 3-0 defeat against Zenit Saint Petersburg on the final match-day in front of their own fans sealed a first historic relegation for one of Russian football’s most famous clubs. Poor performances from experienced players, young players having to shoulder a lot of the burden and questionable tactical decisions from former manager Andrey Kobelev which eventually led to his dismissal by the club after a dismal 3-0 defeat against arch-rivals Spartak Moscow on match-day 27 all contributed to their demise. Think of Liverpool or Tottenham getting relegated from the English Premier League if you want an indication of the magnitude of this relegation. A season that Dynamo’s fans will want to forget for the rest of their lifetimes. Crucial decisions need to be taken by the club’s hierarchy to prepare for life in the second tier, to rebuild the squad with better recruitment and more young and hungry players and principally to ensure that a repeat of this season’s shambles does not happen again. 2015-16 represented a season when a player came of age with his performances and that player is FK Krasnodar striker Fyodor Smolov. The 25 year-old was always seen as a bright prospect since his days in Dynamo’s youth team and his subsequent breakthrough into their first team, but until this season, he had been unable to fulfil those early signs of promise. However, this season everything suddenly fell into place, for the first half of the season Smolov established himself in Krasnodar’s team as a wide forward capable of cutting inside and weighing in with goals and assists. He did this role impressively, however, since the restart of the season after the winter break, Smolov has been moved to a central striker role and the results of this positional shift have been remarkable. Prior to the winter break Smolov scored just 6 goals in 18 matches, after the switch of position Smolov scored 14 goals in 11 games whilst continuing the additional responsibilities of making assists and tirelessly pressing opponents when his side do not have possession. The multiple facets of goalscoring, assist-making, being involved in the build-up play to many of Krasnodar’s goals and selfless tracking back for the team that Smolov possesses make him the winner of my Russian Premier League Player of the Season. Furthermore, with 20 goals in 29 appearances, Smolov is the league’s top scorer and is a man in form for the Russian national team going into the European Championships. England and Wales’ defences will certainly have to be on their toes. Many 18 or 19 year old players can make a breakthrough of sorts in a season, they can make their club debuts or even make enough appearances for a championship medal at the end of the season as a result of often being substituted onto the pitch late in matches. However, when a young player establishes himself as a regular starter for a country’s leading club and vanquishes his national team’s captain to the substitutes bench in the process, you know they must have some serious talent. Introducing CSKA Moscow’s 19 year old central midfielder Alexandr Golovin. The youngster has made 17 appearances for CSKA this season with many of those being starts for the club. Eyebrows were raised when CSKA’s big winter transfer window signing, Russian national team captain Roman Shirokov was benched by CSKA manager Leonid Slutskiy for Golovin, however, the youngster has fully justified the faith placed in him with his performances. In the games I have seen of Golovin, he reminds me a little of Steven Gerrard in his early Anfield days (between 1999-2004), Gerrard in these days at Liverpool was used as a box-to-box midfielder capable of contributing effectively to the team in both attack and defence. Golovin is still raw, but there is potentially a very good player there and in future years I can see him being moved to a more advanced midfield role at CSKA where he could become a star just as Gerrard did at Liverpool when moved into an advanced role by Rafael Benitez. Won his first cap for the Russian national team in June 2015 against Belarus and capped off the occasion by scoring on his debut. Currently has 3 caps to his name and will almost certainly be going to this summer’s European Championships with the national team. Whilst unlikely to start, there is a chance he could be summoned from the bench in some fixtures. Golovin is one of the young players who won the UEFA Under 17’s European Championship in 2013 who Russian football fans have high hopes for going into the 2018 World Cup. The 21 year old Iranian forward has had a breakthrough 2015-16 and is now starting to show glimpses of the player who shot to fame in his teens where he scored 19 goals in 18 apperances for Iran’s Under 20’s national team. On loan at this season’s surprise package FK Rostov from Rubin Kazan, Azmoun contributed 9 goals this season for Rostov and in recent weeks embarked on a personal mission to guarantee Rostov Champions League football for next season with 6 goals in his last 6 matches. Rostov’s financial situation is far from healthy, however, cash received next season from being in the Champions League may have to be used to improve this rather than contributing towards making Azmoun’s move permanent. Rubin will be delighted at his impact and because they are a side in rebuilding, he is a player who would slot straight back into their team next season without costing them anything. Expect other leading Russian Premier League clubs to also monitor Azmoun’s situation over the summer. A very easy choice, 63 year old Turkmenistan coach Kurban Burdyev has proven this season that he is the best coach and tactician in Russian football. Transforming Rubin Kazan from second division provincial side to twice Russian Premier League Champions over a 12 year period between 2001 and 2013 was a fine achievement. However, taking over a side that scraped clear of relegation by the skin of their teeth last season and transforming them in Russian Premier League runners-up the next amidst a precarious financial situation is nothing short of remarkable. In Rostov’s home matches against Russian Premier League heavyweights like CSKA, Spartak, Lokomotiv and Zenit, Rostov emerged victorious in all 4 encounters, scoring 9 goals and conceding only once. Despite leading Rostov into next season’s Champions League, Burdyev may not stay at the club beyond the summer. He has been recently linked to the Spartak job as a potential replacement for the current incumbent Dimitri Alenichev and despite Spartak only being in the Europa League next season, their infrastructure, finances and average attendances are considerably superior to anything Rostov could offer. It will be an intriguing decision for Burdyev in the summer, he really is Rostov’s life insurance and they will be praying that he remains to guide them into their maiden Champions League campaign. Despite FK Krasnodar finishing 4th this season, a drop of one position from their 3rd place finish last season, Oleg Koronov’s team have arguably had a more successful season by virtue of having reached the semi-finals of the Russian Cup in comparison to only reaching the last 16 of that competition in 2014-15. Furthermore, Krasnodar have now established themselves as an up-and-coming team in European competition. In 2014-15, the club made their European debut in a Europa League group containing Everton, Lille and Wolfsburg, they subsequently finished 3rd in their group accumulating just 6 points from their 6 matches and failed to make the knockout stages. This season, however, Krasnodar accumulated 13 points from their 6 matches in their Europa League group and finished ahead of German heavyweights Borussia Dortmund. Whilst their last 32 exit to Czech side Sparta Prague was a disappointment, there have been real signs of progress this season. Koronov has certainly played his part in Krasnodar’s continuing rise, his aforementioned decision to move Fyodor Smolov from a wide position to the central striking role has proven a tactical masterstroke. I do think Krasnodar could be potential champions next season under Komolov, the Belarussian has all the tools at his disposal, a squad with both talent and depth, a wealthy owner in billionaire Sergey Galitsky who allows managers of the club time to implement their ideas and tactics and a move into their own brand new stadium not to mention one of the best youth academies in Russia which could also bring more long-term benefits for the club. Goalkeeper – Soslan Dzhanayev (FK Rostov) – Part of a defensive unit that conceded only 20 goals in 30 games this season, 29 year-old Dzhanayev has certainly played his part in Rostov’s remarkable rise. Not spectacular to watch, but does all the basics like shot-stopping, catches from crosses and organising his defence really well. His penalty save to help preserve Rostov’s 1-0 lead in their eventual win over Krylia Sovetov in March also showed that he delivered under pressure when his team most needed it this season. Right Back – Mario Fernandes (CSKA Moscow) – The 26 year old Brazilian has proven himself as one of the best defenders in the league and in my opinion would be a good signing for many top 7/8 clubs in high-ranked European leagues like England, Spain and Germany. Comfortable in both attack and defence, Fernandes’ abilities in both allow him to contribute assists for CSKA’s forward line alongside protecting their slow and ageing central defence. Centre Back – Cesar Navas (FK Rostov) – 36 years of age now, but the former Real Madrid youth player has shown no noticeable signs of decline. Signed on a free by Rostov from Rubin Kazan where he won two league titles on a free transfer this summer, the veteran Spaniard has marshalled Rostov’s watertight defence almost impeccably throughout the season. Centre Back – Ivan Novoseltsev (FK Rostov) – Given Rostov had the best defence in the league, it is no surprise to see Navas partnered in my team of the season by his club defensive partner. Novoseltsev, who signed for Rostov from Torpedo Moscow in the winter transfer window of the 2014-15 season has matured well this season alongside the veteran Navas. With the Russian national team crying out for young defenders to replace the veteran Berezutskiy twins and Sergey Ignasevich, 24 year old Novoseltsev has been tipped for a call up to the national team for Euro 2016. Left Back – Georgi Shchennikov – (CSKA Moscow) – Shchennikov’s inclusion in my team of the year makes it a joint CSKA/Rostov defensive four. The 25 year old has been a regular for many seasons now at CSKA after making his debut as a 17 year old and his abilities in both attack and defence have contributed towards another fine season for CSKA. Defensive Midfielder – Pontus Wernbloom (CSKA Moscow) – The 29 year old Swede is in my team of the year by virtue of having done a remarkable job of helping to protect CSKA’s ageing central defence in the midfield anchor role. 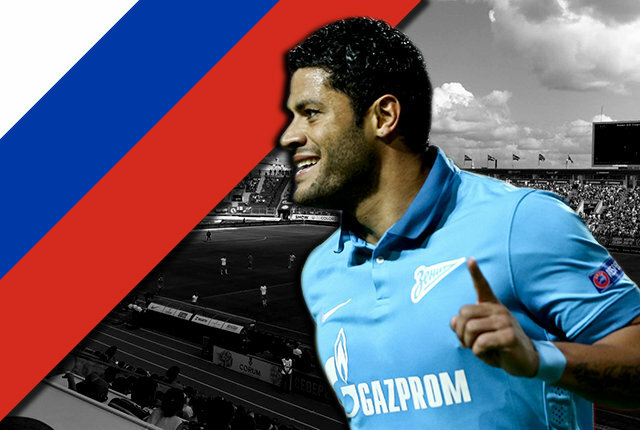 One of the Russian league’s stars to watch out for at Euro 2016. Central Midfielder – Christian Noboa (FK Rostov) – Sometimes what a player needs to revive his career is a reunion with his old manager. This has been precisely the case for the 31 year-old Ecuadorian. After disappointing spells with Dynamo Moscow and PAOK Salonika in Greece, Noboa signed for Rostov this summer and got the chance once more to work with his old boss from his Rubin Kazan days in Kurban Berdyev. As a result, Noboa rediscovered the form which made him a double Russian Premier League title winner with Rubin in 2008 and 2009. His brilliant displays in dictating the tempo of matches with his passing and defensive contributions win him a place in my team of the year in a defensive playmaker role. Central Midfielder – Pavel Mamaev (FK Krasnodar) – Like his Krasnodar team-mate Smolov, Pavel Mamaev is another player who has really started to fulfil the potential many thought he had as a youngster this season. The 27 year-old midfielder could not establish himself in the midfield at his old club CSKA Moscow and left for Krasnodar in the summer of 2013. This season Mamaev scored 10 goals for Krasnodar alongside 13 assists and his inclusion gives balance to my midfield three as a more attack-minded player to partner Wernbloom and Noboa who are more defensive-minded players. Mamaev edged out Terek’s Oleg Ivanov for a place in my team and fans should expect to see him feature for the Russian national team at Euro 2016. Wide Forward – Quincy Promes (Spartak Moscow) – In a tough and inconsistent season for Spartak, Promes demonstrated just why he is their player of the season. 17 goals this season for the Red-Whites from a wide attacking role alongside contributing with assists and in build-ups to attacks ensured that Spartak will be playing football in the Europa League next season. The 24 year old Dutchman has had a fine two seasons in Russian football following his EUR 15 million transfer to Spartak from Dutch club FC Twente in the summer of 2014. Over the last year, he has been linked with the likes of Atletico Madrid, PSG, Valencia and Juventus and one suspects he could be on the move this summer given Spartak’s failure to reach the Champions League. Striker – Fyodor Smolov (FK Krasnodar) – 2015-16 represented a season when a player came of age with his performances and that player is FK Krasnodar striker Fyodor Smolov. The 25 year-old was always seen as a bright prospect since his days in Dynamo’s youth team and his subsequent breakthrough into their first team, but until this season, he had been unable to fulfil those early signs of promise. However, this season everything suddenly fell into place, for the first half of the season Smolov established himself in Krasnodar’s team as a wide forward capable of cutting inside and weighing in with goals and assists. He did this role impressively, however, since the restart of the season after the winter break, Smolov has been moved to a central striker role and the results of this positional shift have been remarkable. Wide Forward – Ahmed Musa (CSKA Moscow) – For many years at CSKA, Ivorian forward Seydou Doumbia was the main attacking threat. Half-way through this season when Doumbia’s short-term loan at CSKA from Italian club AS Roma was cut short for him to join Newcastle in the English Premier League, CSKA needed a new hero to help them in their title quest. Step forward Ahmed Musa, the 23 year-old Nigerian has been vital to CSKA in an attacking context this season by stepping out of Doumbia’s shadow and weighing in with 13 goals. It is not just his goals either, his dribbling and pace has scared the life out of defenders all season. Despite him playing as a striker this season, I have moved him into a wide forward role in my team, not just because of Smolov’s remarkable season, but because he has all the attributes to perform in this role just as effectively. Likely to leave CSKA in the summer after 4 seasons in Russian football, newly-crowned English champions Leicester City were interested in signing Musa in the January transfer window only to be knocked back by CSKA. Given Leicester are in the Champions League next season and Musa’s attributes being ideal for their counter-attacking style, do not be surprised if the Foxes come back in with another bid for Musa this summer. UEFA Euro 2016 Predictions: Who Will Win Euro 2016? Farewell Dynamo Moscow: Could the previously unthinkable happen?